Passau’s Bishop Stefan Oster takes St. Paul’s words as his own in his letter for Advent, urging us to wake up from sleep. We must wake up to actively pursue a relationship with Jesus Christ, in the knowledge that the most important commandment is to love Him. And we can, as the bishop says, “it is really possible to love Jesus”. It is time to rise up from sleep! So goes the urgent admonition from St. Paul to the Christians of Rome in today’s reading. It is time to get up from sleep. Paul lives in a very deep inner unity with Christ. And it is characteristic of people like Paul, throughout history, that they see their own time as broken, superficial, threatened. As lulled to sleep. This in comparison to what they themselves experience inwardly, which has grasped them within, what is to them to true, a reality: the closeness to Christ. And, like Jesus Himself in the Gospel, Paul sees the danger that we people become inwardly deaf and blind to His presence, that we no longer have any sensitivity for His being near to us, that He wants to transform us from within, every day and every hour. It is time to get up, Paul says. In the Gospel Jesus says: be watchful, be prepared. You do not known the hour at which the Son of Man comes. Dear sisters and brothers, I would most of all like to call you and also myself and all of us in a similar way: it is time to rise up from sleep. Jesus is coming, Jesus is near. Am I willing? Is my heart open to Him, who wants to come in glory, wants to come again in the fullness of love, of truth, of light and power. And who now already wants to enter our hearts every day, so that we may truly know Him, from heart to heart, when we meet Him face to face. Or are we perhaps not also often in a situation in which we should basically fear His coming, after having forgotten Him for so long? You know that we are occupying ourselves in the diocese with a great topic: how can we help each other to find a new faith, to deepen it anew? What does “new evangelisation” mean? How do we open our faith in such a way that it touches people of today, with their questions of today? That they sense that this is really a source of life, healing, depth, beauty and truth? I am convinced that we can only find the answers to such questions when we also ask ourselves again: Do I know Jesus? Am I really interested in Him? Do I really believe that He can touch and transform my life here and now? Has He already touched it? Have I, for example, ever been moved in my heart by what we celebrate at Easter, namely that Jesus lives?! And do I believe that He also lives in our Church, in the celebration of the sacraments? And do I also believe that He also lives in me, and wants to enable me to become like Him, to love and trust like Him? Dear sisters and brothers, it is really possible to love Jesus. And in the Gospel Jesus tells us very clearly that we should try. And He even tells us that loving Him is the most important commandment of all. Our ability to love our fellow men, our neighbours like ourselves, but also the poor, the marginalised, this ability comes from Him, from our relationship with Him, from remaining with Him. He wants us to become more like Him. And I earnestly believe, dear sisters and brothers, that our ability to help other people come to faith also depends on our relationship with Jesus. From the fullness of the heart the mouth speaks, He tells us. And all that once conquered your heart will make you act differently than before this conquest. Does our behaviour show that Jesus has conquered our hearts? Do we rightly bear His name, when we call ourselves Christians? I am well aware that these questions are challenging for all of us. For me as well, of course. And of course, a relationship with Jesus is also a path, a process, a maturing and ripening, often with highs and lows. It is never cut and dry. Often one feels like a beginner. But my question to us is this: have we already begun the journey? Have we understood how important this relationship is for our lives, for our salvation? Or don’t we believe too often: being a Christian means not doing anything to anyone, and trying to be reasonably nice?! This would be a great misunderstanding, because being a Christian is in the first place a relationship, a relationship that transforms. New evangelisation is therefore, for example: learning to pray anew, alone and together. Look for people with whom you can regularly come together, to pray together; to read Scripture together – and to tell each other what role Jesus plays in your lives. And when you think that you would have nothing to say, let yourself be strengthened by the stories of others. In this way you will learn to become more sensitive to Jesus’ presence in your life. Dear sisters, dear brothers, Jesus is looking for people who will passionately live with and for Him, regardless of where and how old they are. He is looking for people who can speak, who can speak about their faith and their lives with the Lord. The Church therefore needs individuals, but also groups and communities, to put this into practice – and also help other people to find words – to speak of our faith anew. What do you think, dear sisters and brothers, is it not time to get up? And, as Paul says, to rise from sleep? Form a sleep which wants to convince us that the faith is self-perpetuating? From the inertia which wants us to consider everything else more important than the most important relationship of our lives! Is it not time to return to Jesus again and ask Him to recoginise us? The time of Advent before is a good opportunity for that! We prepare ourselves for His coming. We celebrate the greatest event in world history. And we Christians have the privilege to believe that it is and remains true, and that it happens also today! In and among us! Do we believe it? Or do we rather remain in bed? I am in favour of waking up and allowing ourselves to be touched anew by His love, who is for me personally, who knows me, who wants to come to my heart and who is eternal. I very much wish, dear sisters and brothers, that you will be touched anew by it in this Advent. And I am grateful for all who help to introduce others to this mysteries. God bless you all. The Archdiocese of Mechelen-Brussels came with a rather puzzling press statement today, announcing an end to the diocese’s cooperation with the Fraternity of the Holy Apostles. This fraternity of priests was invited to Brussels by Archbishop André-Joseph Léonard, but apparently his successor, Archbishop Jozef De Kesel, wastes no time in shutting them down. Even as the news broke, the priests of the fraternity were still meeting with the staff of the archdiocese. There are rumours that there is more to the decision than the press release states, but as that is the official position of the archdiocese, it must be taken seriously, strange as it is. “The Fraternity of the Holy Apostles was established in 2013 as a “public clerical society of faithul” of diocesan right. It falls under the responsibility of the Archdiocese of Mechelen-Brussels. The Fraternity has 27 members, 6 priests and 21 seminarians of whom one is a deacon. Of the 27 members, 21 reside in Belgium and 6 in France, especially in the Diocese of Bayonne. The majority of the current members comes from France. It is the Fraternity’s main purpose to make young people sensitive to the beauty of the vocation to the diocesan priesthood. Answering that vocation does not necessarily mean that one stands alone: the priest can rely on the support and solidarity of the brothers with whom he forms a fraternity. This option is indeed very valuable in the life of the priest today. This initiative, however, presents a problem when one realises that at the moment the majority of the Fraternity’s seminarians comes from France, where so many areas suffer from a distressing shortage of priests. Of course, it is possible that the number of Belgian seminarians, both French- and Dutch-speaking, can increase over the years. But then, too, they will come from other Belgian dioceses to become priests for the archdiocese. In the current situation it is better not to encourage such a process. It would indicate a great lack of solidarity among the bishops, both with the bishops in our country as with the French bishops. That is why the archbishop of Mechelen-Brussels decided to no longer work with the Fraternity of the Holy Apostles in his diocese from the end of June 2016 onwards. Those members of the Fraternity who have already been ordained as priests or deacons serving the archdiocese remain priests or deacons of the archdiocese, as prescribed by canon law. Regarding their appointment the arcbishop will take into account what was dear to them when they entered the Fraternity. In this context, and contrary to what some rumours would have us believe, it is the arcbishop’s wish that the experiences of the church of St. Kathelijne [the Brussels church entrusted to the pastoral care of the Fraternity – MV] may by further developed. The seminarians can, if they so wish and if they meet the demands for the formation of priests of the archdiocese, continue their education at the diocesan seminary. So, in short, the Fraternity has too many priests from abroad, and while the archdiocese continues to make use of the priests already ordained (if only because canon law demands it), the other members can basically do whatever they please. Sure, the seminarians are welcome at the diocesan seminary, if they are good enough and if they really must, but there’s no pressure. I can accept that there are parts of France where priests are few, but the Belgian bishops are fooling themselves if they think the same is not true, or will be in the foreseeable future, for their own dioceses. The Fraternity is drawing young men who want to work as priests in the Archdiocese of Mechelen-Brussels. The archbishop should be overjoyed by this. Instead, there is misplaced talk of solidarity with the other bishops. Instead of closing a successful institution because it might draw future priests away from other dioceses in Belgium or France, the bishops would do better by looking at what it is that makes the Fraternity work and adopt that in their own seminaries. There is a good chance that it is this what caused the Fraternity’s seminarians to choose the Fraternity over a diocesan seminary. Like I said, this is a puzzling decision. It could well be that the true reasons remain secret, and that there is much more going on. The Fraternity has in the past struggled with accepting and submitting themselves to episcopal authority, and that is indeed problematic. But if such problems lie at the root of this decision, let it then be said. If today’s press statement is true, it is evidence of serious short-sightedness on the part of the archbishop and the other bishops; if there is instead more going on, the statement is deceitful. Lastly, it is hard not to see this as a slap in the face of the archbishop emeritus, André-Joseph Léonard, who lived with the Fraternity for a short while between his retirement and his departure for France. 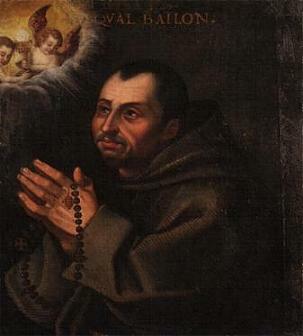 He brought them to Brussels, seeing them as an asset in the new evangelisation of the Belgian capital. 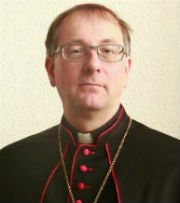 Archbishop Nikola Eterović has been the Apostolic Nuncio to Germany since November of 2013. 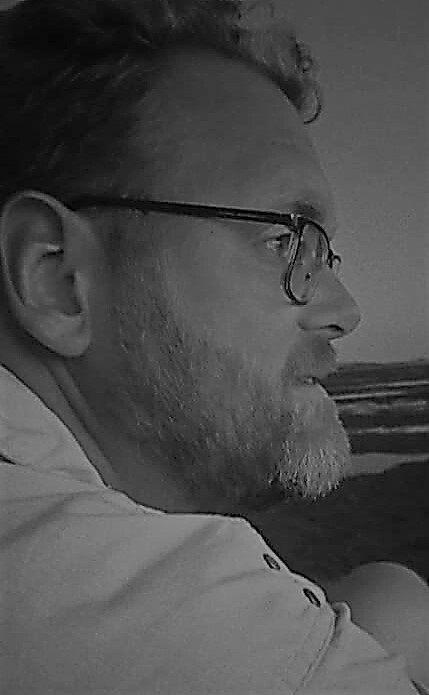 Katholisch.de interviewed him about a variety of subjects. I share some of his comments. The Church tax, I have come increasingly to believe, is more than just problematic. Although the financial revenue may be used for good, it is a burden in the Church’s pastoral activities, as well as the faithful’s access to the sacraments. The new dynamic mentioned by the Nuncio is the same “new evangelisation” that has been promoted by Pope Benedict XVI, and which now seems to have snowed under a bit. But we can’t allow it to be: we must take it up and make it happen. Worldwide the Church is involved with politics, especially when it comes to peace, justice and development, as we have seen recently in the easing of relations between Cuba and the United States. But what about the influence of the Church on the regular faithful? “We must in any case work on our pastoral care. Especially young people want to know what the Christian faith really means. With his charisma Pope Francis continuously manages to clarify the actuality of the Gospel and the message of Jesus. And I believe that the people out there are only waiting to rediscover this message: fraternal love and the love, justice and solidarity of God”. Archbishop Nikola Eterović was born in Croatia in 1951 and ordained a priest of the Diocese of Hvar in 1977. In 1999 he was consecrated as Titular Archbishop of Sisak, and appointed as Apostolic Nuncio to Ukraine. 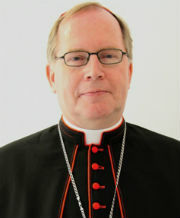 From 2004 to 2013 he was Secretary General of the Synod of Bishops, and in 2013 he returned to the diplomatic service as Apostolic Nuncio to Germany. In 2009, he was given a new titular see, Vinkovci, as Sisak was re-established as a proper diocese in Croatia. I was very happy to find this in the mail today: Sacred Liturgy: The Source and Summit of the Life and Mission of the Church, edited by Dom Alcuin Reid. It is the product of last year’s Sacra Liturgia conference, which I wrote about a few times. It is quite the hefty tome, clocking in at 446 pages. The book collects the contributions from a great variety of authors; Bishop Marc Aillet, Walter Cardinal Brandmüller, Raymond Cardinal Burke, Bishop Dominique Rey and Archbishop Alexander Sample, to name but a few. The topics are equally varied, covering a wide range of the liturgical landscape. Here too, a random selection to give some idea: liturgical music, new evangelisation, liturgy and monastic life, sacred architecture, the role of the bishop in liturgy, catechesis and formation. There are also the homilies given over the course of the conference, one by Cardinal Cañizares Llovera and the other by Cardinal Brandmüller. I have not always found it easy to find such theological resources in my neck of the woods, so I consider this book a welcome resource for my own personal theological education, small and interrupted by necessary daily commitments as it may be. And as such, it may also have its influence on the blog.